Sirens filled the whole three blocks that the Chicago Police Department claimed as they readied themselves to enter Zheng&apos;s & Hunter&apos;s piece of heaven. Hunter didn&apos;t acknowledge the men who stand by at the front ready for the first order. Carefully Hunter watched as Zheng revealed himself from the center of the second group, turning to lock eyes with him. Zheng gave a simple smile before letting the emotionless mask fell over his handsome features. Zheng motioned towards Hunter who immediately joined his husband side relaxing as he pulled him to his side. Leaning into his chest an soft kiss was placed on the soft lightly tanned forehead before a chaste one was on the lips. "Lacrime sono debolezza." (Tears are a weakness.) Zheng rich natural language rolled off his tongue. His blank dark brown eyes stared down into those icy blue eyes. "Ruòdiâne shi sîwang." (Weakness is death.) Hunter replied with a precise copy of traditional Chinese. No words of love were exchanged. Nor was one needed only an appearing emotionless mask which showed all the true feelings. Those words were enough for the couple. Zheng straightens upwards fixing his suit to perfection before turning towards his 50 loyal men. He his face stayed blank but his eyes told that he was ready. Ready for the consequences of his actions against mankind and the world. "Anyone who exits this house with will be given jail time probably the same amount as me. All of you who can&apos;t handle that leave now, however-"
Hunter narrowed his eyes as one man quickly moved from the first line disappearing down the backdoor exit. From the corner of a blue eye, he saw Zheng wave towards, Dom, his mano sinistra (left hand). Dom chuckled softly pulling a gun from inside his coat pocket. Dom nodded at the first part of the order freezing at the order to disappear. Zheng nodded at the shocked expression on the man face before holding his hand out to him. Dom shook the hand as Zheng pulled the man closer whispering something in the man&apos;s ear. Dom nodded softly turning towards Hunter gathering the young submissive hand kissing his ring and knuckles. As Dom turned away he loaded the bullets into his gun. No one noticed the quite quick prayer he sent upwards or the silent tear that refused to leave his eye. Zheng nodded as no one else made a move to leave. "However if you leave now you shall be gunned down and killed like cattle." the air was tense at the carelessness and some amusement inside of Zheng&apos;s voice. "Simply because you each know enough about me and that&apos;s dangerous enough. I do not care what you tell the police about me after you leave this room to save your own asses." the lack of emotion was still there until everything turned serious. "However Hunter is to not discussed under any circumstances if he is you all should kiss your wife&apos;s, husbands, lovers or children right now. If not there&apos;s no promise they&apos;ll still be living when you all come back. If my angel (angel) goes down your loved ones will be executed because I am the judge, jury, and executor." Zheng&apos;s voice didn&apos;t wave at the end instead of it strength and grew louder. Grabbing Hunter&apos;s slim waist he pressed his warm lips to the young man&apos;s temple. Sending a simple prayer to the man he loves, body and soul to ensure that he is safe. Turning around Zheng motioned to the first squad giving the simple order to &apos;clean&apos; the house. "I want everything of value to be removed and place someone where safe. I want any evidence eaten or destroyed completely leaving no traces of it." Zheng ordered to the first squad before turning towards the front door. "I will never enter this house ever again after today." Zheng directed towards Hunter who snuggled deeper into his husband&apos;s side. "I understand. I&apos;ll have everything arranged when you are released. Zheng-"
Zheng tightens his grip painfully locking eyes with his husband allowing his mask down. 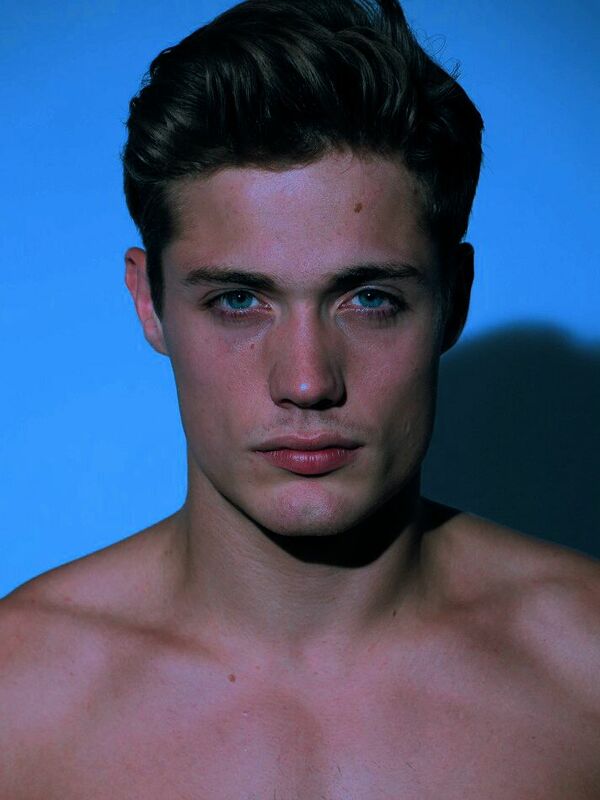 Hunter watched the raw emotion of anger travel through those dark brown eyes into blue. Those eyes whispered &apos;I love you&apos; because the owner&apos;s mouths couldn&apos;t. They wouldn&apos;t reveal the greatest weakness in public even before they&apos;re men. Zheng broke the eye contact before gently releasing Hunter having the younger man move towards the far back away from him completely. Snapping his fingers Zheng pulled a single cigar from the box being held before him. Reaching into his pocket he pulled out the cigar cutter, quickly cutting off the back, lighting it slowly. Taking a deep long breath he blew out the roasted coffee taste smoke. Yanking the door open Zheng took a deep breath before blowing out into the cold Chicago air. "Freeze! We have you surrounded! EXIT WITH YOUR HANDS UPWARDS! NOW!" an overweight officer screamed from a bullhorn. Zheng rolled his eyes as he panted after every three words holding a single hand up while using the other one to smoke the cigar. Cops rushed towards him grabbing and brutally throwing him towards the dirty grass. Knocking the cigar out of his hand as one office stomped downwards on the cigar rubbing it into the dirt before kicking near Zheng&apos;s face. The men followed suit lowering themselves keeping eyes trained ready for their boss next move. Growling could be heard as the boss was brutally disrespected them but the men stayed down. Suddenly as Zheng was hailed upwards he watched as Hunter was gripped underarm roughly. In a swift motion, Hunter stood straight cleaning imaginary dust from his polo shirt, as the cop laid on the ground wailing holding a broken wrist screaming profanities at Hunter. Hunter slowly lifted his foot holding it dangerously still and close above the down office head. Everything moved in slow motion as cameramen arrived in time to witness the attack. Hunter turned towards Zheng who lifted from the ground before being harsh throw against the police car. Hunter slammed his foot downwards at remarkable speed smiling an blank smile as the other police officers jumped. Stepping back he revealed the pact of dirt his crushed and destroyed. Hunter allowed the next cop to restrict him with his shaking hands. As he was pulled towards the police car he glanced toward Zheng who was now sitting in the police car. Glancing around he watched as his husband&apos;s fellow men were shoved into police cars also before looking towards the sky. The words &apos;Judgement Day&apos; was whispered from his lips as his head was pushed into the car. I DID IT! The first chapter of Prison Wife is officially out and it&apos;s great. 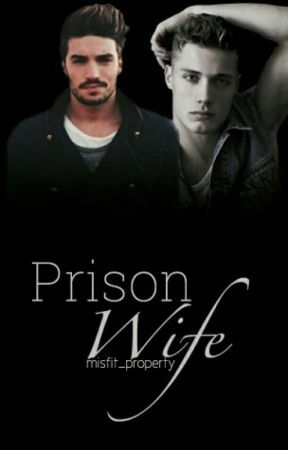 I hope all of you little Misfits enjoyed this chapter of Prison Wife. Leave comments and let me know what you think.